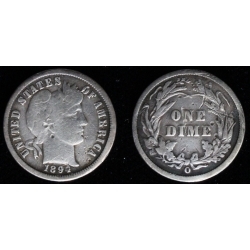 1894-O Barber Dime, Very Fine with lite problems. 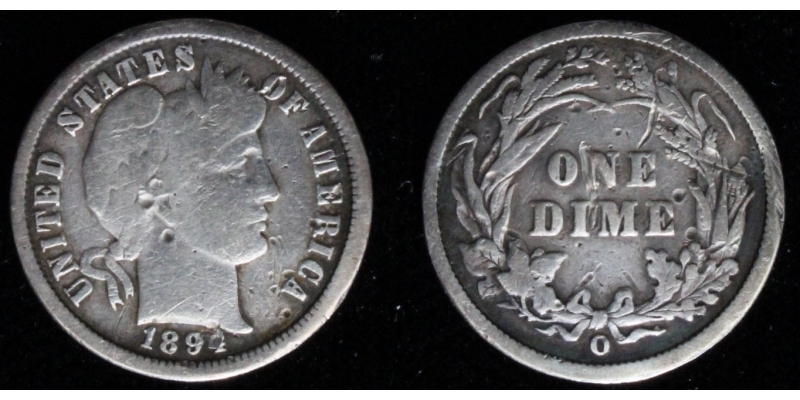 One of the key date coins in the series. Is VF but obv has few marks with a major one on the 4 of the date. Reverse has several marks with most unseen until you use a glass. Has had an old light cleaning in the past that is now re-toning and really the least of the problems. Still a rare and presentable coin. Normal would be around $250, this one is $145.